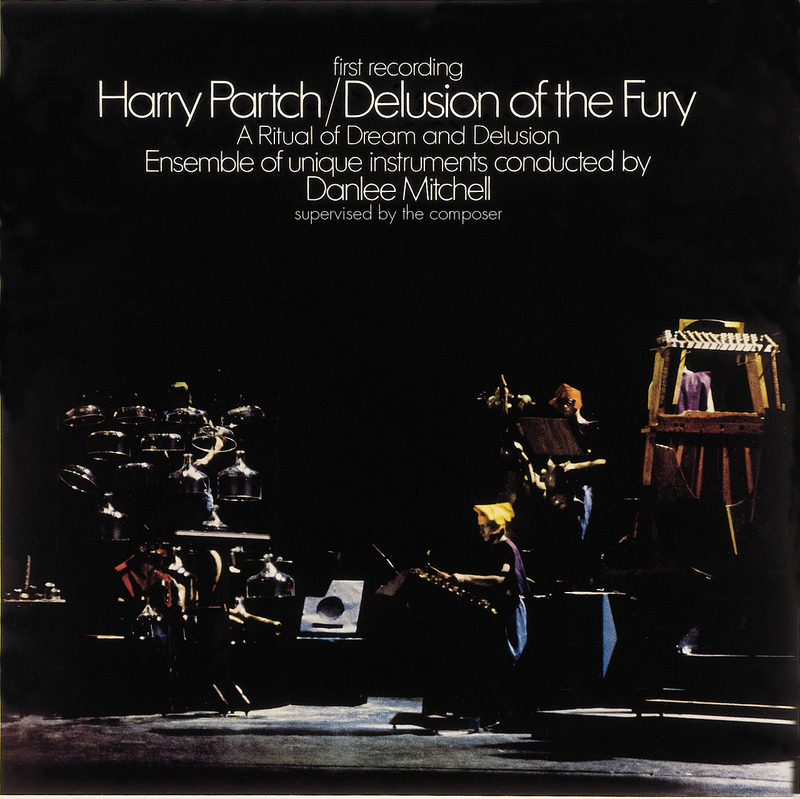 To mark the 25th anniversary of the composer's death (on September 4, 1974), and just in time for his centenary (June 24, 2001), Delusion of the Fury, the monumental work of ritual-theater that propelled Harry Partch into the limelight, is being released on CD. With the appearance of this recording, executive producer Philip Blackburn's 15-year project to release the complete works of Harry Partch (1901-1974), one of the most important of American artists, has been realized. Like composer Conlon Nancarrow, Partch had to wait until late in life for his radical contributions to the arts to receive wide attention. With the 1969 production of Delusion he was "discovered", idolized, and gurufied, as a 43-tone-to-the-octave, ex-hobo, eccentric, maverick, iconoclastic instrument-builder, and a "philosophic music-man seduced into carpentry." Hippy hyperbole notwithstanding, Partch was a genuine far-out radical whose time has come. Again. "Sounds like this have rarely been heard before, at least not on this planet." Delusion of the Fury is a 72' totally-integrated, corporeal, microtonal, elemental work of ritual theater, incorporating almost all of Partch's hand-built orchestra of sculptural instruments. Using mime, dance, music, vocalizations, lighting, and costume, Partch presents two tales concerning reconciliation of life and death, one after a Japanese Noh drama, the other after an Ethiopian folk tale. Enclosure VII: Harry Partch (innova 407) features the film version of Delusion. Perhaps the most astonishing, seductive and compelling of Partch's works, Delusion stands as the Choral Symphony or Ring Cycle do to other composers: a culminating testament to a lifetime of "doing your own thing." The 16-page illustrated booklet features Partch's introduction and a new text by conductor Danlee Mitchell. "music wacko perhaps but irresistible beyond belief...stupendous. Hallelujah!..essential." The plain fact is that this recording is an historical document of immense, immeasurable value, and, as such, we would be fortunate even if it was a tatty and dog-eared affair. Doubly fortunate we are, then, that by anyone’s standards it is altogether superb. It encapsulates a vindication of Partch’s entire life’s work, a testament to his radical imagination, and proof beyond all reasonable doubt that even if his chosen path was a blind alley, then it was also a tunnel terminating in a great and enchanting light. Moreover, the greatest fortune of all is that it’s a damned good listen, a musical world every bit as involving as any of Mahler’s. Need I say more? "...sounds like a cross between a Witches' Sabbath in a clock factory and a Chinese wedding march."